For many years information about hearing aids has been scant. You would regularly see adverts in newspapers with headings like “invisible hearing aids from £99”. If you were to clip the coupon or call these companies then you would probably receive a deluge of junk mail or be called to arrange an appointment (again and again). Prices would never be disclosed until the end of your consultation with the hearing aid dispenser. Thankfully things have changed and this is largely due to the internet. Finding the right information and guidance about hearing aids can be very confusing. By the fact that you’re reading this guide suggests that you may have already embarked on your quest to find the right hearing solution for you or someone you know. There are several reasons why unbiased information is difficult to come by. Firstly, if the information is provided by a hearing aid manufacturer then they are understandably compelled to sing the virtues and praises of just their make and models of hearing aids. This is a little like reading an advert for Mercedes cars. If you were to believe the marketing hype then you would conclude that the only option would be to purchase one of their cars. If you subsequently read a BMW advert your thoughts and opinions may change. 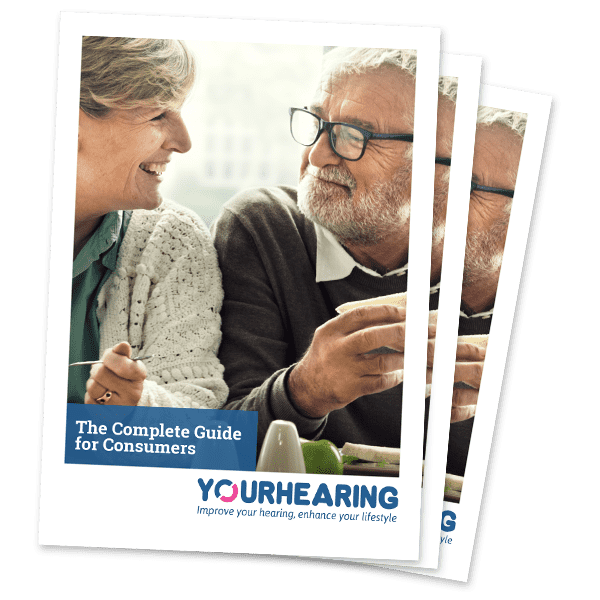 The vast majority of information however is provided by hearing aid retailers and it is important to understand the difference between a retailer and a manufacturer. This guide is written impartially so we have no vested interest in any particular brand, make or retailer. Hearing aid retailers can be broken down into 2 groups, national companies and independents. National companies, as the name suggests, operate on a national basis and usually employ between about 15 and 300 hearing aid dispensers. There are important differences between national companies and independents which you should be aware of. Independent companies are local, small businesses employing between 1 and perhaps 10 dispensers. They are frequently family businesses and sometimes operate by home visit only but not always. As the name suggests, they are not tied to any particular hearing aid manufacturer and offer a wide choice of hearing aids without prejudice. Generally, they charge less than the national retailers but not always (see our tips later on how to find the right hearing aid dispenser). Amplifon. Italian company who in 2006 bought the UK hearing aid retailers Amplivox, Ultratone, Sietech, Hearing Health and a few others. They are not owned by a manufacturer but tend to favour ReSound hearing aids. Resound used to own 25% of this business. Specsavers Hearcare. Almost all hearing aids that they provide are their own brand of hearing aids the “Advance” range of hearing aids. These aids can only be programmed by Specsavers so you couldn’t take them anywhere else for servicing. They are able to offer true branded hearing aids but they charge much more for them. All these manufacturers produce good quality hearing instruments. Each of them provides a range of different technology levels in a variety of shapes and sizes. It is fair to say that each one of them brings something different to the consumer. There is no single “best” hearing aid manufacturer. ReSound are particularly good at wireless technology. Starkey are very good at producing very small in the ear type hearing aids. Phonak are good if a lot of amplification is needed. It is therefore best to have a choice of all these manufacturers rather than just one or two. New hearing technology is being developed all the time and you can’t predict which manufacturer may have just what you need. Efficient personal service – either at home or at a centre. If you’re not sure if NHS aids would alright for you then we would recommend you try them. You would need to see your GP first who then may refer you to the relevant hospital department or clinic. 1) Audiological requirements. There are different types of hearing loss that require different fitting strategies. It is important that the hearing aids have sufficient reserve amplification so they will last for several years – not just one or two. Five years is about right. 2) Technology/performance. This above all else determines the cost of the hearing aid. The higher the technology, the higher the price. This has nothing to do with the severity of the hearing loss, it’s about how well you want to be able to hear. 3) Appearance and style. There are many different styles of hearing aids. The 2 main categories are ITE (in the ear) and BTE (behind the ear). BTEs are becoming increasingly popular as they can be extremely small and cosmetic. 4) Size. As a general rule of thumb, the larger the hearing aid the more powerful it is. Smaller hearing aids have smaller batteries which could be difficult for people with poor dexterity. Smaller batteries don’t last as long. 5) Accessories. Some hearing aids have accessories that can be purchased. These include wireless transmitters that enable the sound from a television or telephone or other device to “beam” sound into the hearing aid. The need for certain assistance by way of accessories can heavily influence the choice of make/model of hearing aid required. 6) Cost. Not everyone has the budget to purchase the top technology hearing aids and in reality, not everyone would need them. It is the job of the hearing aid audiologist to discuss your individual needs and requirements. They should take into account all the factors above so that between you and them, you arrive at the most appropriate solution. You cannot be expected to learn all about every kind of hearing aid available as new ones are being released all the time. They are obliged by their code of practice to give best advice. If however they only offer a restricted choice of manufacturers then this can narrow the selection down considerably. IIC (Invisible In the Canal). The smallest, most invisible hearing aid. Fits deep within the ear canal. CIC (Completely In the canal). Slightly larger than an IIC but usually invisible. ITC (In The Canal). Slightly larger than a CIC and is usually visible at the entrance to the ear canal. Half Shell. Occupies the bottom half of the ear. Full Shell. Occupies the whole of the ear. Power BTE. The largest of BTE aids and designed to provide a lot of amplification for severe/profound losses. Nowadays these are a lot smaller than they used to be and can be quite cosmetic. They typically use a 675 (the largest) battery but many now use a size 13. Mini BTE. As the name suggests they are very small and cosmetic. They usually have very thin tubes and are fitted without ear moulds (open fitting). RIC (Receiver In the Canal). Sometimes referred to as “receiver in the ear” or RITE. They are similar in appearance to a mini BTE and are highly cosmetic. The difference is that the piece that goes into the ear actually is the speaker or receiver so the sound is produced in the ear canal itself. The tube connecting the hearing aid to the ear does not carry sound, it contains a wire to convey the electrical signal. These aids are usually the instrument of choice for dispensers and clients alike. Who can sell me a hearing aid? The terminology and qualifications required can be a little confusing. All countries differ in their requirements. Ireland for example is not regulated so essentially anyone could provide a hearing aid to you. In the UK, the requirement for someone to be able to sell a hearing aid to you is to be a registered hearing aid dispenser – registered with the HCPC (Health and Care Professions Council). They sometimes use the letters RHAD (Registered Hearing Aid Dispenser) or HAD (Hearing Aid Dispenser) after their name. Since 2010 the qualification required to become a hearing aid dispenser is a foundation degree in audiology so you may see the letters Fd Sc Aud after the name. In any case, the hearing aid dispenser needs to be registered with the HCPC and the registration details can be found on the HCPC website. By entering their name you can see whether they are registered or not. Some companies use HCAs (Hearing Care Assistants). This is a lesser qualification but they are permitted to carry out most of the functions of a HAD. Typically a HCA would do much of the aftercare associated with a hearing aid. Other commonly used letters which are not actually qualifications are MSHAA (Member of the Society of Hearing Aid Audiologists) or FSHAA (Fellow of the Society of Hearing Aid Audiologists). MSHAA and FSHAA, are letters given to hearing aid dispensers who subscribe to BSHAA (British Society of Hearing Aid Audiologists). The Irish equivalent of this is ISHAA. The most commonly used name is perhaps hearing aid dispenser. They may sometimes refer to themselves as hearing aid audiologists. Hearing aid dispensers may also subscribe to be members of the BSA (British Society of Audiology). This body of people decides upon recommended clinical procedures. More recently, the BAA (British Academy of Audiology) has been formed to encompass both private and NHS audiology professionals as different levels. 1) Balanced stereo hearing. The sound quality of hearing through 2 ears is much better. If you’ve listened to music through 1 headphone rather than 2 then you’ll appreciate the difference. 2) Localization. Our brains are able to detect where a sound has come from better through two ears. Much better to be able to turn in the direction of someone trying to talk to you and essential if trying to cross a road. 3) Less amplification required. The effect of hearing through both ears enables the person to require less amplification. 4) Auditory deprivation. Our sense of hearing comes from electrical signals arriving at the brain via our ears. If one side is deprived of stimulus then it can lose its ability to understand speech. If a person has an identical loss in both ears and wears only one hearing aid then the side without the hearing aid starts to become “lazy”. In later years, if that ear is subsequently fitted with a hearing aid then it can take a long time for that side of the brain to rehabilitate. In some cases it never catches up with the aided side. Given the cost of hearing aids it is easy to assume that the hearing aid dispenser is simply trying to sell you 2 hearing aids. Of course, some people only have a hearing loss in one ear and therefore only one hearing aid is needed. If the hearing aid dispenser tells you that 2 are required then without doubt you need 2. Hearing aids provided by a qualified, registered hearing aid dispenser almost always include aftercare. This means that you should get at least 5 years use out of your hearing aids. The only extra consideration is the cost of batteries which should amount to about £10 per hearing aid per year. A basic hearing aid should cost about £500 and a top technology hearing aid about £1500. These figures are usually doubled as 2 hearing aids are required more often than not. Companies charging much more than say £1800 or less than £500 should be treated with caution. During the life of the hearing aids (5 years minimum approximately) you can expect to have between 10 and 20 appointments with your hearing aid dispenser. Doing some simple calculations you can see that any company advertising “2 hearing aids for £495” has not based their business on actually selling 2 hearing aids for £495 or they would go out of business. To draw a simple analogy, if you were to ask a plumber to service your boiler for 1 hour, twice a year for 5 years then they would need to charge perhaps £500 labour over this period. This is without including the cost of the boiler itself. So if a boiler cost say £1000 and you wanted to include service for 5 years then you could expect to pay £1500. Any company offering boilers for £500 inclusive of 5 years servicing should naturally be treated with caution. t is possible to buy hearing aids by mail order but these obviously do not include professional fitting or aftercare. They range from about £100 to £500 each. I suppose you could buy a boiler by mail order but you’d probably need a qualified person to fit it. This is perhaps the most complex area and we can only go into minor detail here. Hearing aids these days are actually tiny computers that are capable of performing millions of calculations per second. Even the most basic of hearing aids is digital and includes noise reduction and wide dynamic range compression (don’t ask). Some hearing aids have artificial intelligence and learn your individual preferences. They react to the environment and seamlessly switch different features on and off. As a general rule of thumb, the number of “channels” a hearing aid has, the cleverer it is. If you remember the days when stereos had graphic equalizers – those little sliders on the front of the stereo that altered the bass and treble sounds. If you had a great stereo it may have had 12 of these sliders whereas a cheaper stereo may have only had 4. A channel is a bit like one of these sliders, the more you have the more shape able the sound is. A basic hearing aid may only have 3 or 4 of these channels whereas a top hearing aid may have around 17. Audiologically speaking there is a question mark over whether there is any benefit in having more than this number as it is very close to mimicking the number of channels that the human inner ear has. Your hearing aid audiologist should talk you through all the features of the hearing aids they recommend and explain them in human terms. Irrespective of what clever gadgetry is going on behind the scenes, one goal still remains. They are designed to help you understand more speech, especially in the presence of noise. Many people, especially first time users of hearing aids, insist on invisible hearing aids. This is understandable as hearing aids are still associated with the ageing process and nobody wants to get old. If you need hearing aids then why would you want to advertise to the world that you have a hearing loss? The latest breed of invisible hearing aids use the generic term IIC (Invisible In the Canal). These hearing aids are custom moulded to the individual’s ear canal and sit deep within the ear canal. They are even smaller than the previous category of CIC (Completely In the Canal). The first ones were made available in 2010 and now all manufacturers make them. They are not necessarily the most expensive as they are available in different levels of technology. Hearing aids that fit into your ear can cause a blocked up sensation referred to as occlusion. IIC hearing aids fit deep inside the ear canal and as a result do not give rise to this issue. Not all invisible hearing aids are located inside the ear. The most popular hearing aid style is actually behind the ear and there are many tiny BTE hearing aids available. They do not need ear moulds and the tubes used are so thin they are virtually invisible. This style of hearing aid has many benefits over IIC hearing aids. As they are located outside of the ear canal they are not prone to problems associated with ear wax and moisture. They usually cost less than IIC hearing aids and they do not cause the occlusion effect. They are also capable of incorporating wireless technology whereas IICs usually cannot. On balance, these mini BTEs come out more favourably than IICs but many people need convincing. Try both and decide for yourself. What if I’m not happy with my hearing aids or the service I get? In the first instance you should raise your concerns with the hearing aid dispenser. In most occasions issues can be resolved as no dispenser wants an unhappy client. If you don’t receive satisfaction and you feel things need to be taken to the next level then your next course of action should be to contact the BSHAA (British Society of Hearing Aid Audiologists). They take any complaint very seriously and will act on your behalf by contacting the dispenser/company directly. In most cases they will resolve the issue but if they feel the complaint is of a more serious nature then they will refer the case to the HCPC. Please note that the HCPC are there to regulate the behaviour and professional conduct of individual hearing aid dispensers. They do not get involved with pricing issues or complaints about companies in general. They do however have the power to strike dispensers off their register. Size 10. This is sometimes called 10A and is the smallest size of hearing aid battery. It is colour coded with a yellow sticker on the battery and usually the pack. Size 312. This is the next size up from a size 10. It is colour coded with a brown sticker on the battery and usually on the pack. From the end it looks like a size 13 battery but is half the thickness. Size 13. This is the size that most NHS hearing aids use. It is colour coded with an orange sticker and on the pack as well. Size 675. This is the largest battery and is usually only used in powerful hearing aids. It is colour coded with a light blue sticker on the battery and on the pack. The best place to buy hearing aid batteries is over the internet. Ebay is excellent. You should expect to pay around £10 per box of 60 cells inclusive of postage. If you currently buy your batteries from a hearing aid shop or chemist then beware as they can charge up to four times this amount! If you have NHS hearing aids and are considering private hearing aids then it might be worth considering hearing aids that take the same size of batteries and you can therefore enjoy free batteries. Remote control. This is usually about the size of a box of matches (Swan rather than Puck). It enables the person to adjust the volume, change programmes and switch different modes on and off. Some remote controls even tell you how much battery life you have left in each hearing aid. Wireless TV streamer. This device plugs into the back of your TV set and transmits a signal direct into your hearing aids. This is a little like turning your hearing aids into wireless headphones and means you can hear the television at your own level. The other person in the room could then adjust the TV to their level or even mute the TV and you would hear it loud and clear. Remote microphone. This is about the size of a box of matches and can be placed up to about 10 metres away. It then transmits the sound wirelessly to the hearing aid wearer. It can be clipped on another person’s lapel or placed on a table in front of someone else. Great for noisy restaurants and business meetings. Phone clip/transmitter. This accessory picks up the signal from a mobile phone and beams it wirelessly into your hearing aids turning them into a hands free phone kit. Hearing aids are not like spectacles in many respects. With spectacles, you put them on and you can either see something clearly or you cannot. With hearing aids, they are designed to amplify certain sounds under certain conditions. This can mean that when you first put them on you notice very little except sounds that would have been inaudible are now audible such as soft sounds, rustling leaves, birds chirping and the sound of your own clothes. Hearing aid amplification is a dynamic and ever-changing technology. If you find yourself in a noisy environment then certain features may automatically be activated such as noise reduction and directional microphones. If you go somewhere quiet then these features may switch themselves off and the volume may increase. It can take anywhere from a few weeks to several months to become accustomed to a hearing aid. If you are a first time wearer then the hearing aid dispenser will usually program the hearing aids at a lower level of amplification and then increase the level over several months. All manufacturer’s hearing aids sound a little different as they all process the sound in different ways. If you’ve worn a particular make of hearing aids for several years then switching to a different make can take a little time to get used to. 1) Consider NHS hearing aids. See your GP who can refer you to a local NHS audiology department for a hearing test. They may then prescribe hearing aids that you may be happy with. 2) If you decide to see what’s available privately, find a local independent hearing aid dispenser. This can be done on the internet paying attention to the other tips below. There are several websites that offer impartial advice over the phone or by email and can put you in touch with a local hearing aid dispenser . 3) Hearing tests are usually free from private dispensers but ask first as some do charge. If they charge then consider going elsewhere. 4) See their price list. Look on the internet at their website and check for a price list. If no specific prices are listed or it just says “prices from …” then go elsewhere. If they don’t list prices then there’s usually a good reason – their prices are not competitive. 5) Are their prices competitive? Hearing aids should cost between £500 and £2000 each depending upon the technology level. The very best technology should cost around £1500 (£3000 for a pair) from each of the big 6 manufacturers with the odd specialist hearing aid costing about £2000. 6) Do they list most manufacturer’s hearing aids? This can be done by looking on their price list on their website. If you have been tested by a dispenser then ask to see his/her full price list. Look for the inclusion of most if not all of the big 6 manufacturers – Phonak, Resound, Oticon, Widex, Starkey and Siemens. You might be surprised to see they only list one or two. 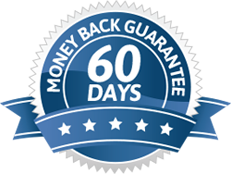 7) What is their money back guarantee? It should be ideally 60 days and is should be a full refund. If not then go elsewhere. 8) Don’t be afraid to challenge the hearing aid dispenser’s recommendation. Ask them why they chose that particular manufacturer and model. Ask them what level of technology they are recommending and why. 9) Don’t be afraid to say you want to think about it. Get them to write down the specific make, model and price they are suggesting then compare prices online. 10) Be wary of companies that “price match”. This is usually an indication that their prices have scope to be reduced and are therefore higher than their competitors. I’m sure you appreciate the benefit of dealing with a company that gives you their best price first rather than only when pushed. 11) Consider “wireless” hearing aids. Whilst you may not need to use the wireless facility right now, you may be glad you did in a few years time. Wireless technology is now available at most technology (and price) levels. 12) Check how old the hearing aids are. This may sound strange but a lot of companies offer so called low prices but they are on aids that have been superseded. A certain company, who we won’t name, regularly offers 2 for 1 on certain superseded Phonak hearing aids. The clients were not told that the hearing aids had been superseded. They did this with the Phonak Audeo range of hearing aids after the new Audeo “S” was launched and they are doing it with the Audeo “S” now it has been superseded by the Audeo “Q”. If in doubt, ask when it was made available. Manufacturer’s generally upgrade their products every 3 years so if that model has been around for over 3 years there’s a good chance it has been superseded. 13) Insure your hearing aids. This can usually be done by adding it to your house contents insurance. Some companies charge a small extra fee for this and some don’t.